The project BEING ME aims to support the social inclusion of Lesbian, Gay, Bisexual and Transgender (LGBT) older people who use care and wellbeing services. As the population of Europe is ageing, more and more older people are in need of care and support. This will include older LGBT people, who often need more professional care and support as many may not have children or the traditional support networks of the general population. Research has demonstrated that older LGBT people experience social exclusion while interacting with care providers and that their life stories and relationships are overlooked and undervalued [NOF 2014, Higgins et al 2011, Almack et al 2010;]. In some cases they experience direct discrimination within health and social care environments. 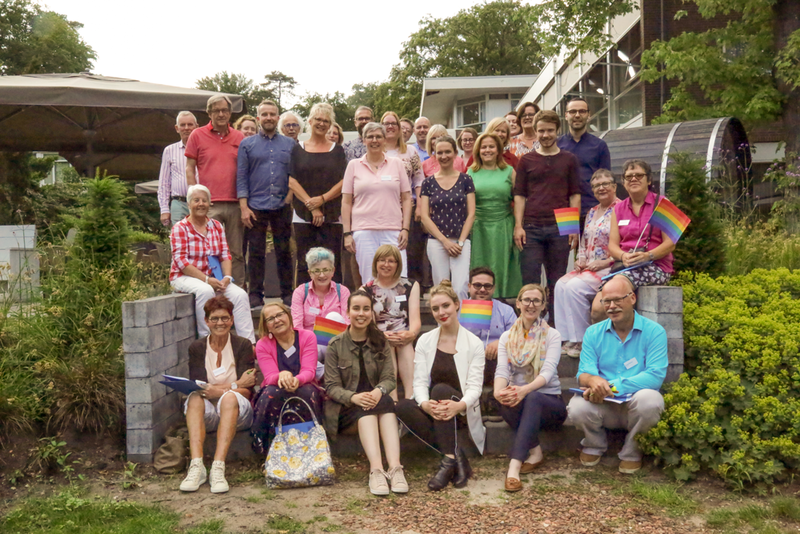 This project aims to promote and support the social inclusion of LGBT older people in receipt of care through positive interaction with educational institutions that prepare future professionals to work with older people. By exchanging good practices, including good practice in learning and teaching and learning and by developing tailored educational resources and pedagogies, we aim to improve the knowledge and competencies of future care professionals in the area of LGBT affirmative practices. By enhancing skills, knowledge and competencies, practitioners will be in a position to develop a culture of support, openness and respect for LGBT identities which is essential to LGBT older people's inclusiveness in care environments.